With affordable housing remaining at focal point in Miami, the competition for talent in this commercial real estate development niche is fierce. Carrfour Supportive Housing, the state’s largest nonprofit affordable housing developer, has named commercial real estate guru Charles Torres as the chairman of its board of directors. 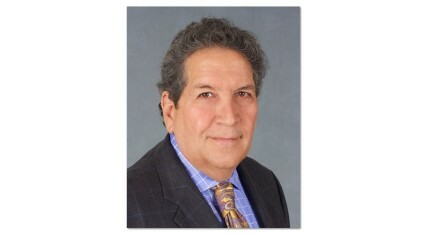 A Miami native with more than 30 years of experience in the commercial real estate and banking industries, Torres is an associate at NAI Miami. He specializes in the sale of land and multifamily properties throughout South Florida. Prior to joining NAI Miami, he served as executive vice president and commercial real estate director at City National Bank of Florida for 22 years with responsibilities of managing the bank’s real estate lending group and commercial real estate loan portfolio. Torres’ two-year term as chair of Carrfour’s board succeeds that of Carol Fine, senior vice president of Northern Trust, who has held the post since 2011. Torres’ term as Chair coincides with the organization’s 20th anniversary year in service, having developed more than 1,500 affordable housing units that currently house approximately 3,400 residents. Torres’ goals as chair is the recruitment of additional private sector support, advancing the nonprofit’s standing as a leader in affordable housing, and strengthening its role in helping put an end to homelessness across South Florida. He holds a Bachelor’s degree in business administration and earned a Master’s degree from the University of Miami. Carrfour was founded in 1993 by the Greater Miami Chamber of Commerce with the goal of helping to curb homelessness through the development of affordable housing communities and the provision of supportive services. Since then, Carrfour has developed more than a dozen communities across Miami-Dade County. The number of formerly homeless men, women and children served recently eclipsed the 10,000 mark.